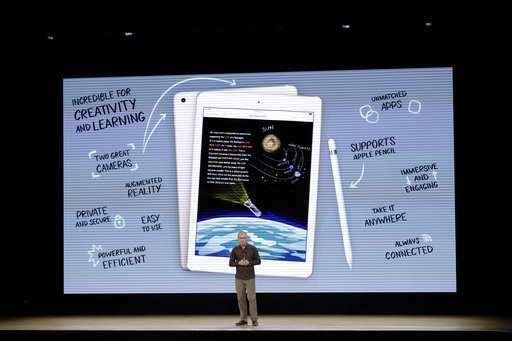 Apple is adding the ability to use a digital pencil to draw and write on its cheapest iPad model in an attempt to make the tablet more compelling for creating, teaching and learning. 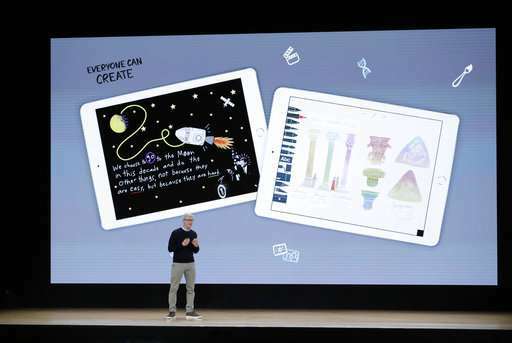 Apple's pencil previously worked only on its more expensive iPad Pro line. 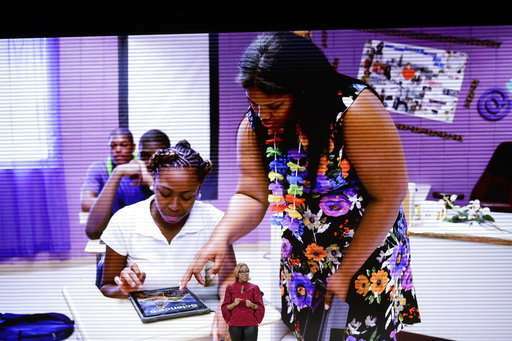 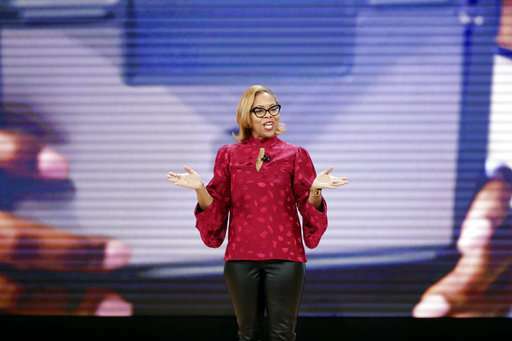 The company unveiled its latest iPad Tuesday in a Chicago high school to signal a renewed emphasis on education. 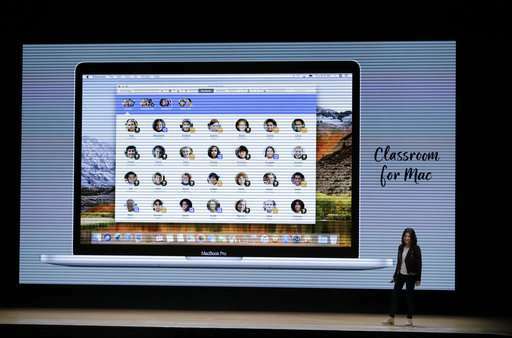 Apple's products have been losing ground in U.S. classrooms to Google and Microsoft during the past few years. 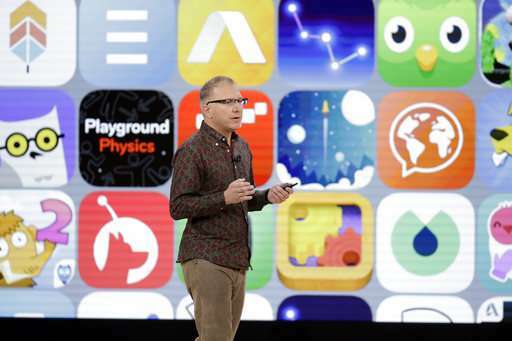 Besides the new iPad, Apple is rolling out a new educational app called Schoolwork to help teachers make assignments and monitor their students' progress. 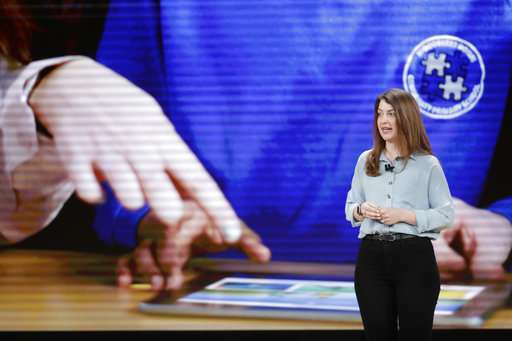 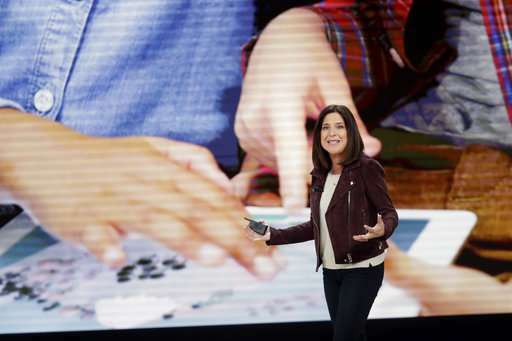 Apple is also offering teachers and students 200 gigabytes of free storage in its iCloud service so they can access documents, photos and other digital content from any internet-connected device. 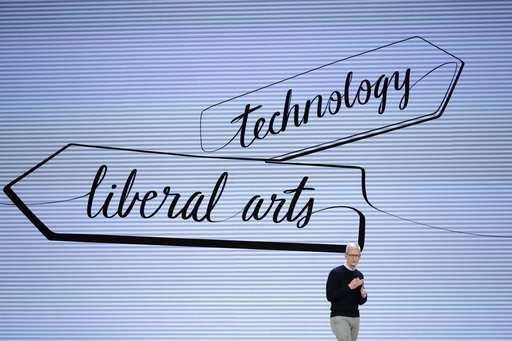 Apple gives all accountholders five gigabytes of storage before charging for additional space. 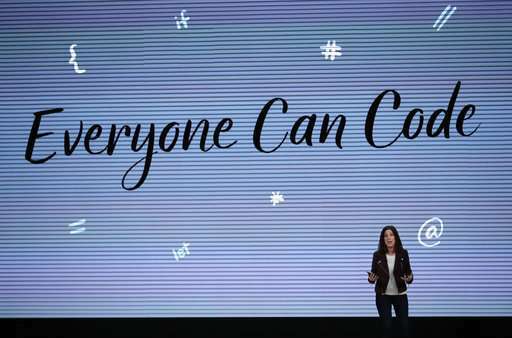 The company normally charges $3 per month for 200 gigabytes of storage. 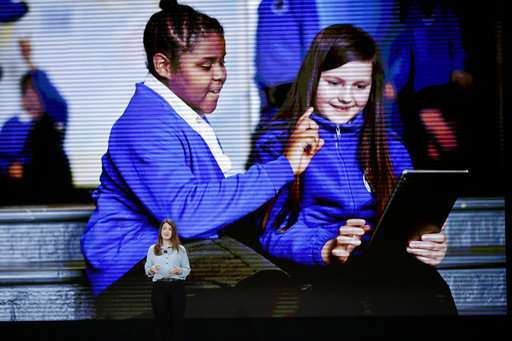 Apple is offering a $30 iPad discount for schools, but the regular price for the 9.7-inch iPad model remains at $329. 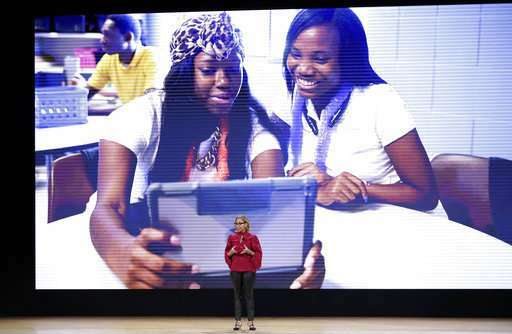 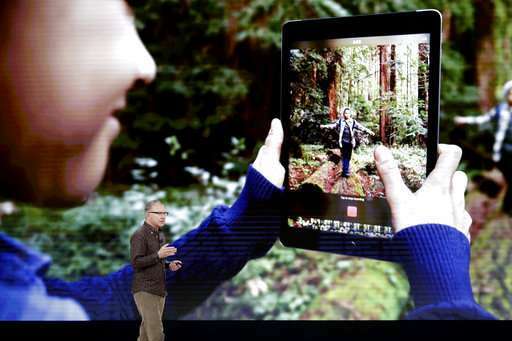 Many analysts had expected Apple to roll out a cheaper iPad to help spur sales to budget-strapped schools. 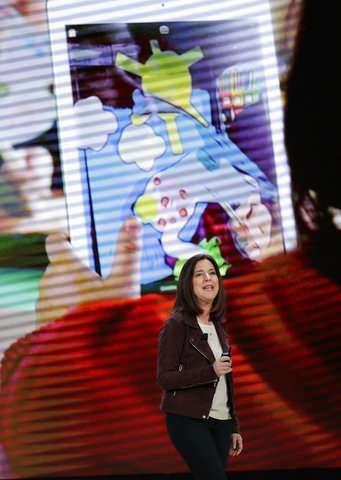 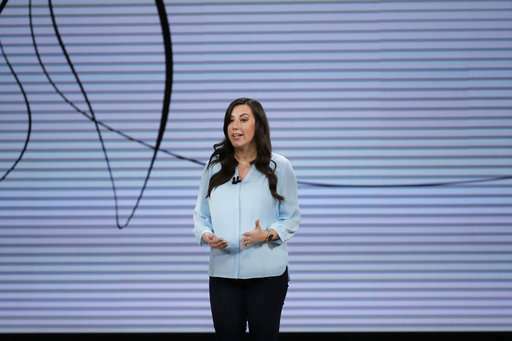 Google has emerged as the education leader in the U.S. market, thanks largely to laptop computers running on its Chrome software. 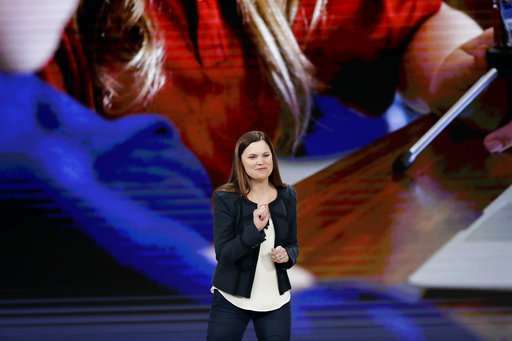 Some of those so-called Chromebooks sell for $200 to $250. 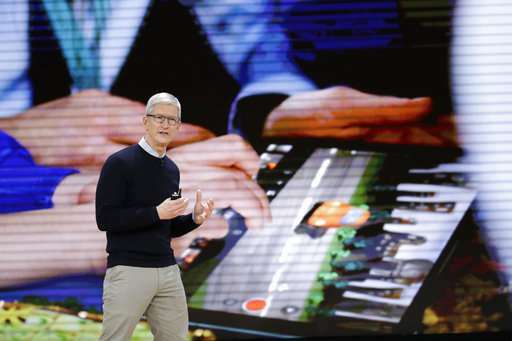 After the hour-long event, CEO Tim Cook huddled for several minutes with Chicago Mayor Rahm Emanuel in an adjoining classroom where some of the new iPads were on display. 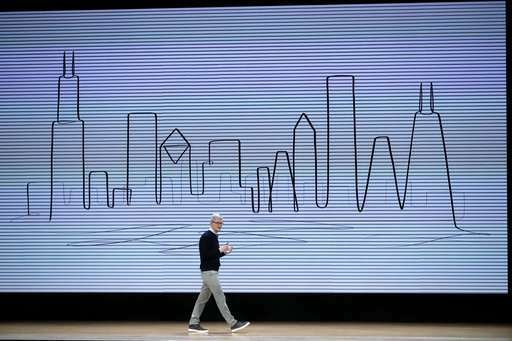 Last year, Chicago announced a program with Apple where hundreds of thousands of Chicago public school students would learn coding.